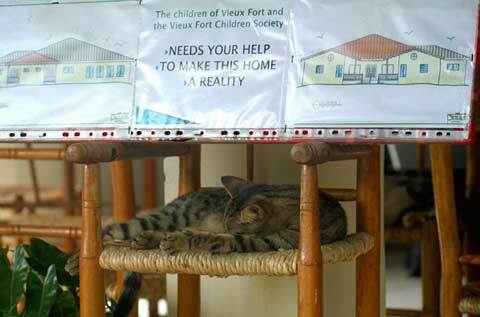 This worthy organization raised funds for the construction of a much-needed children’s home in Vieux Fort. Prior to this, no such home existed in the South of the island. The home provides a safe environment, support and shelter for vulnerable children within our community. The Government of St Lucia donated land for the project and the society raised funds for building construction. The Jermaine Defoe Foundation also supports the project. This Foundation is the brainchild of the England football star who is of St Lucian heritage. The Chlidren’s society also operates a charity shop. They will gratefully accept any unwanted items that you can bring along without tipping your luggage allowance over the limit. We are members of the St Lucia Animal Protection Society (SLAPS) and often end up acting as the de facto southern branch of this organization. The apparent abundance of stray animals on the island often dismays visitors, however many of the animals actually have owners. The Society is always grateful for any donations that can help with shelter and care of animals needing rescue. Vets working locally with the society make good use of donations of veterinary supplies. 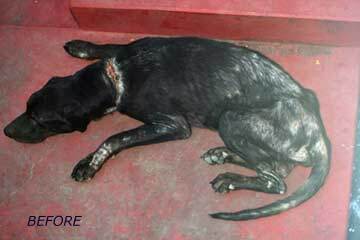 Flea & tick treatments (e.g Frontline) are especially useful.